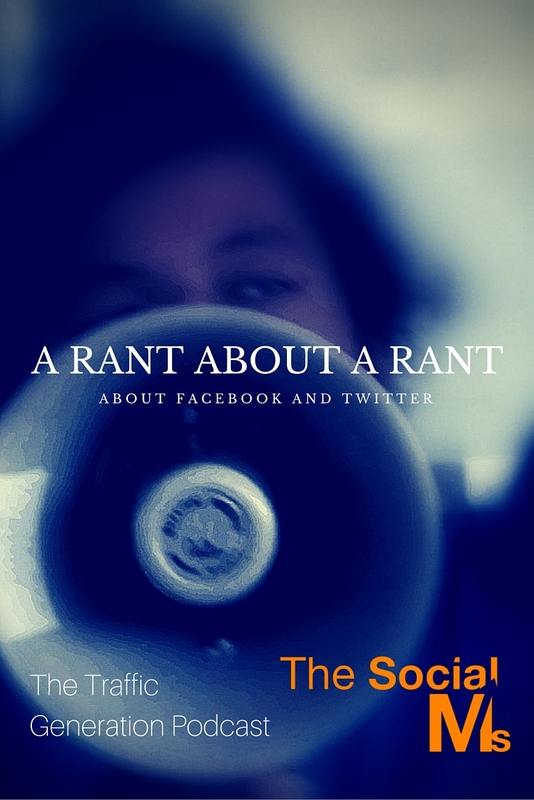 Ok, here we are again – another episode of the Traffic Generation Podcast by The Social Ms.
Today, I got angry about Techcrunch – specifically about a video rant they posted. So I decided to rant a bout the rant. What do you call that? A counter rant? Anyway – their video rant was about Facebook’s Instant Articles and Twitter’s Moments. They don’t like these features – and they feel that it is bad for publishers. They are absolutely wrong! Why? Are you looking for a setup for a podcast that you can afford? Check out this! This one is a short episode – but I loved doing this episode. What do you think? Please subscribe if you like it and please write an honest review on Itunes!